Every room in your house gets used. 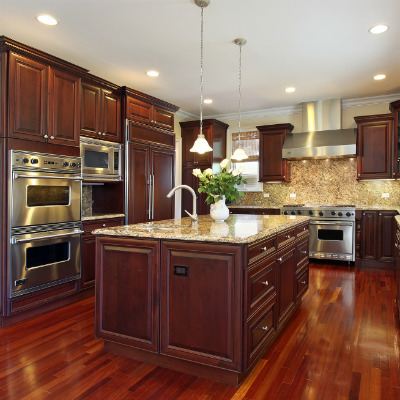 The kitchen and bath are often the most used rooms in any home. This makes it important to have them in the best of conditions at all times. 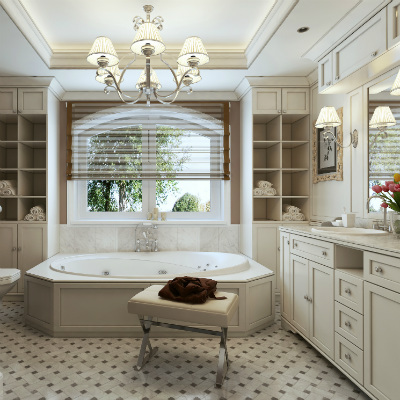 A bathroom that has gone through the bathroom remodel process in the correct way can add value to a property and be a matter of pride to homeowners when they show it off to guests, or invite them to use it. A kitchen can be the focal point of the common areas and can be a great location to host an informal dinner party. Remodeling can be a simple thing like changing the paint or putting in new fixtures, but it often does lead to a complete renovation in many home improvement projects. When you change one thing, then it points out the flaws in other aspects of the current design. The first step in the process of remodeling is to consider the space that you have, and the additional features or changes that you want in it. Your remodeling can also be influenced by the number of people using a particular bathroom, or how many will need to be seated at the breakfast bar in the new kitchen. This may require dividing the space into separate sections or reallocate space so that these needs are met. The present condition of the house may dictate the changes, and you may decide to completely redo floors and walls so that your remodeled room is in tune with all the new choices that you want to install. Bathroom and kitchen remodeling is quite expensive, and this makes it important to have a proper budget for the work and be aware of the finances that you need to arrange. Shopping around for tiles, fixtures and other things that you need so that you can be confusing and overwhelming so get help. Having a robust estimate of what you may be required to spend will reduce stress and pressure as the project unfolds. Many homeowners try to save on costs by carrying out some of the work themselves or hiring a cheap subcontractor, but success depends on your skills and the time you have for carrying out the remodeling work. Hiring a professional remodeling contractor to handle everything removes a lot of the burden from you. Remember you may not be able to use the room while it is being renovated, and that is why part of the remodel process will have to include the alternative arrangements that you need to make while the work is in progress. The design process of remodeling must take into consideration the functions in a bathroom and the work triangles. There must be sufficient space between the toilet, sink, showers, storage and tubs and lavatories if you do have all these in the bathroom. Make sure that you choose the right materials with an accent on durability and strength and not just because they look good. During the remodeling, it can make sense to look at other aspects, like waterproofing, lighting, and ventilation, so that your bathroom becomes a room that you will like to use. All fixtures that you choose must blend with each other, and this planning must go down to the small accessories like towel bars, soap holders, clothes hooks and others. Having the right amount of cabinet storage can make a bathroom much more usable. And consider the type of flooring and lighting as well. All aspects of the design should tie together for a cohesive finished space. These same considerations apply whether you are considering a room addition, upgrading your kitchen, changing the bathroom or adding a bonus room. Learn how we can save your time, money, inconvenience and headaches with our comprehensive design-build approach.